By Way of… is a bi-weekly collection of stray observations from the road. It’s my answer to “how was it?” for whomever’s asking. 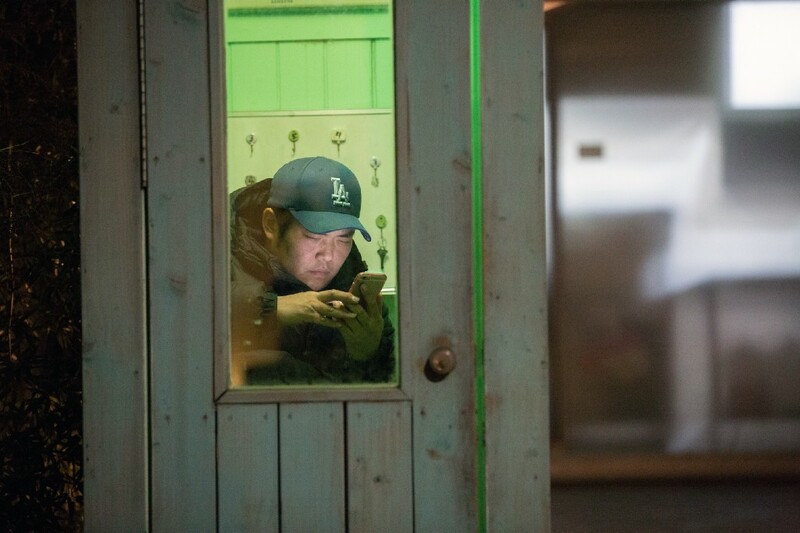 While on a story assignment and running MEL Films from abroad, it’s what stuck with me, a stranger with fresh eyes in a vibrant place that — in the case of Seoul — loves coffee, bowls of meat and random, often meaningless English phrases on storefronts. This is by no means an exhaustive travelogue or advice column, and certainly isn’t intended to fully capture a place or the people who inhabit it. Just my lasting impressions. If you’re cool with that, read on. Sunset over Han River in Seoul. 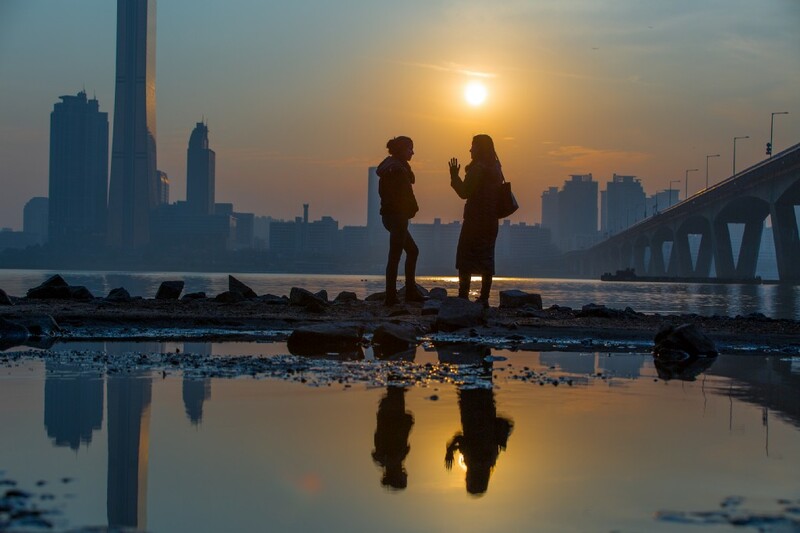 Spanning the Han River and bringing together the diverse neighborhoods of Seoul, Mapo Bridge has a sad history of suicide. Recently, however, public and private entities have made a push toward improving the mental health prospects of a culture that’s historically had trouble talking things out. Samsung Life Insurance has attempted to rebrand the “Suicide Bridge” as the “Bridge of Life.” Now, LEDs flash corporate-sponsored inspirational messages in an attempt to remind potential jumpers of the simple joys of living they’d otherwise permanently abandon. Like pizza. Of all of Samsung’s messaging, the image of a warm, gooey deep dish complemented with a tagline that I’ll paraphrase as ARE YOU SURE? is the motivator that stays with me. Pizza, the delicious alternative to non-existence. You’re probably familiar with Psy. You’re probably one of the 2.5 billion clicks on his ridiculously popular music video for “Gangnam Style.” And as big as he is internationally, he’s even bigger back home. I’m wearing the Psy socks to prove it. 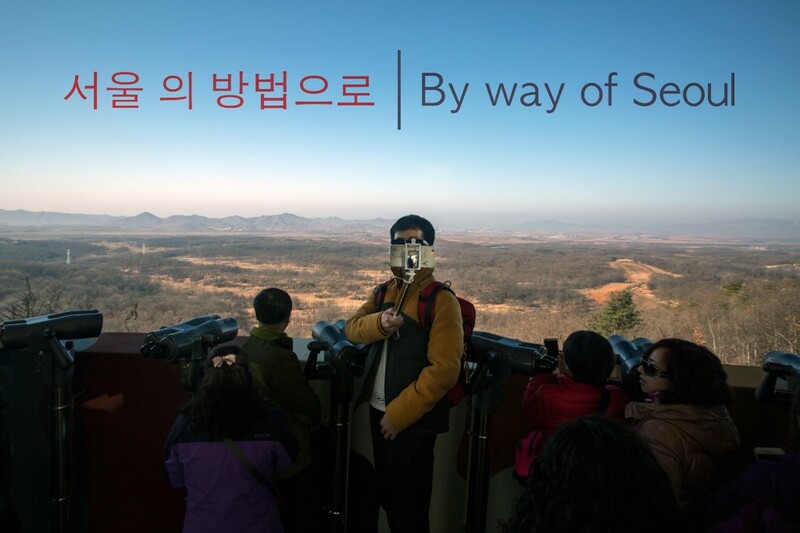 During my crew’s shameless tourist day at the DMZ (more in a minute), our charismatic guide schooled us on Psy’s much imitated horse dance in “Gangnam Style” which, he claims, derives from Korea’s ancestral ties to the ancient Mongolians, a horse-loving bunch. I think this is probably a stretch. No matter where we went, “Gangnam Style” came up a lot. And no matter how many times I heard a Korean voice utter it, the exact pronunciation wouldn’t stick. The nuanced, non-Western tones of the Korean language produce a sound much closer to “Condom Style” than whatever phonetic guesstimate you had in your head as you were reading this. You’re welcome, Weird Al. 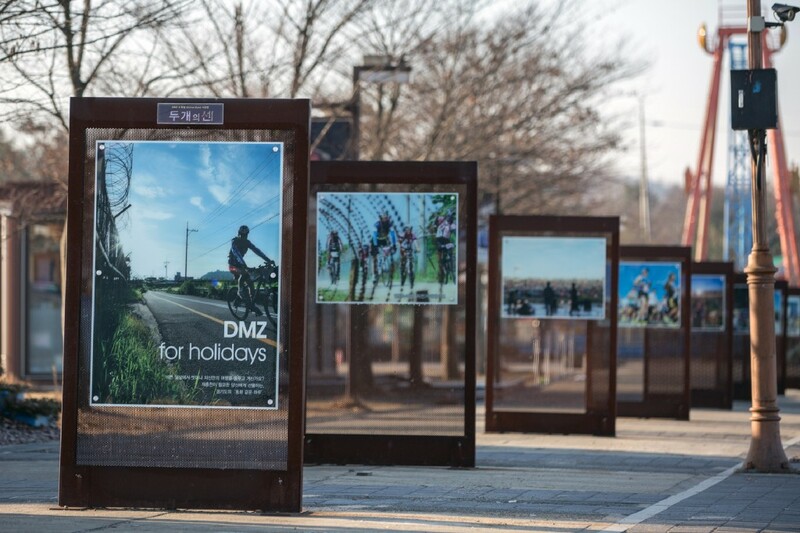 For those who don’t know, the DMZ, or Demilitarized Zone, is actually a highly militarized zone between North and South Korea. It’s the line in the sand drawn during the Korean War that represents a fragile 60-year ceasefire. Bill Clinton called it “the scariest place on Earth.” About a million soldiers from the South and the North stare each other down every day, waiting for the other to flinch. And just a couple weeks before Kim Jong-un’s most recent nuclear threat, we were there—on a tour bus full of tourists, parked beside a souvenir shop, near a theme park, full of other tour busses. Heavily armed soldiers and miles of barbed wire welcomed us curious, adventure-seeking visitors to the big show. In between stops for passenger selfies with views of the frightening and mysterious North, our bus driver navigated a road dotted with several little signs warning of potential landmines in the area. Parting shot apropos of nothing: Louis V. and a mighty ray of light.